Semi-Gloss Teal CCM S6M w/Full barrel kit. 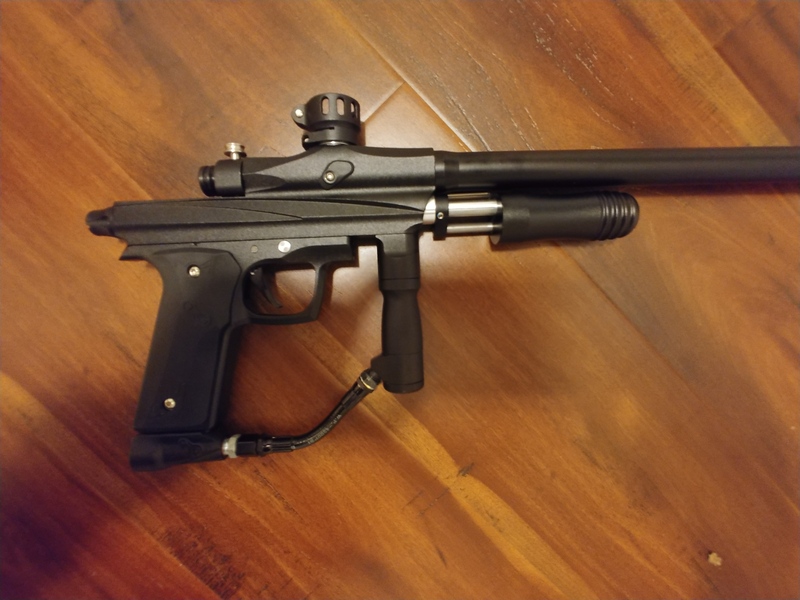 Used empire sniper for sale. 270 shipped obo. Sniper shows some signs of wear. Includes. 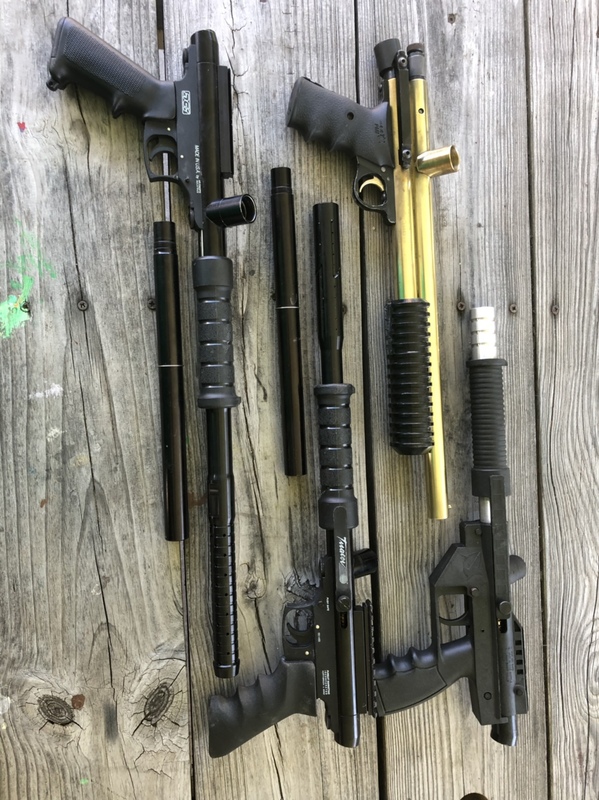 Empire sniper, inception designs pump guide rod, inception designs trigger and sear, inception designs hammer, 3d printed pump handle, exalt reg grip, parts kit, spring feed, and a used gxg marker case. Freak barrel is not included unless price agreed upon in 270 or close. have a 282 289 and 291 insert that can be included as well. paypal only. I have a all black KPC pump F/S. Good pump that works well. Only selling because I plan on upgrading. 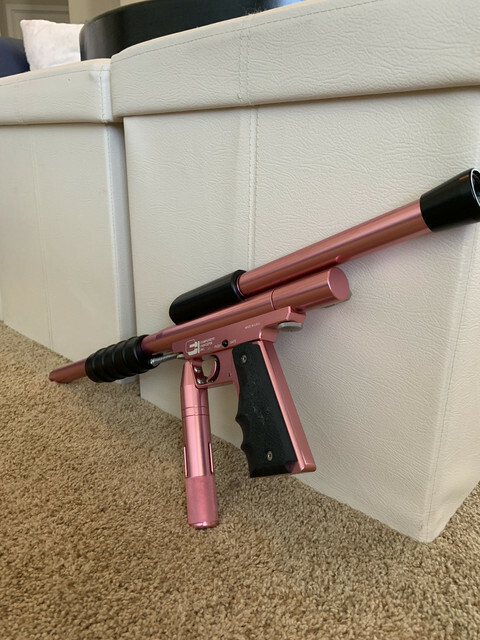 Comes with a different barrel than stock otherwise it is a stock KPC (hitman pump attachment will be included). Shot it 2 weeks ago and had it chrono at 275 all day. Shot 1000 rounds through it with no issues. I want $100+shipping OBO. Also will take a trade of a 45/4500 tank. 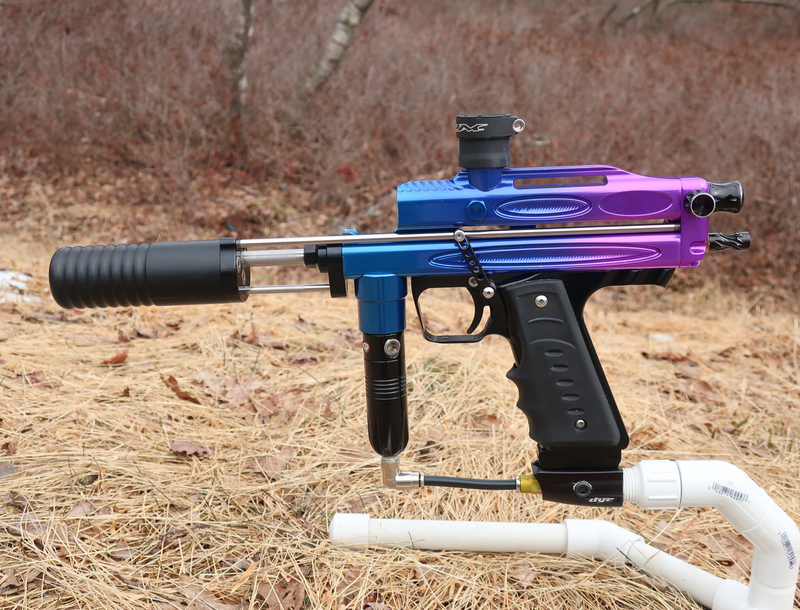 Had plans for this but unfortunately those plans do not fit inside of this marker, so it is time to sell. The marker is missing the top tube, but 2.5 feed tubes are included with the purchase (black feed tube is dented). Both feed gates and front site are damaged but may be serviceable. 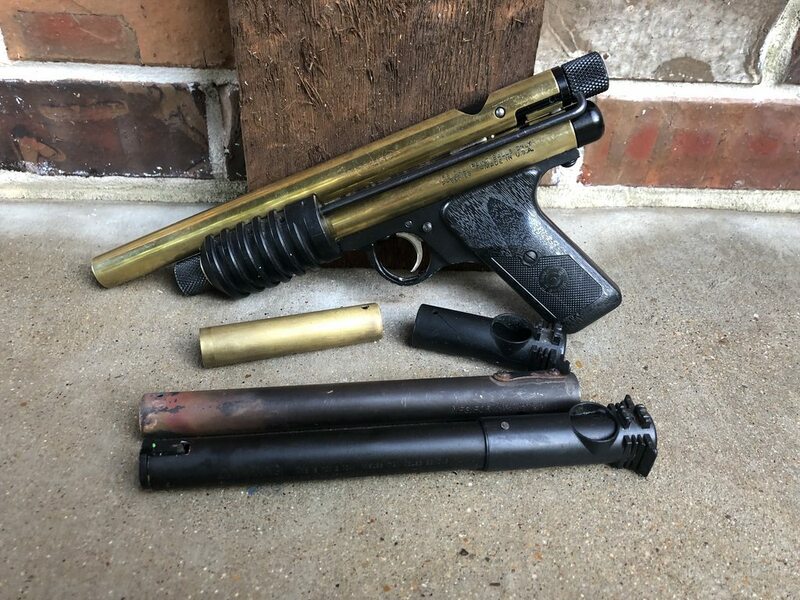 Marker shoots well and is just begging for a new owner to give it a feed tube. $115 shipped anywhere in the U.S.
FS: BNIB vsc Phantom OD Green + extras SPE?!? !